Author Ken Yoder Reed’s February 19 presentation at the Mennonite Heritage Center in Harleysville can be called a homecoming. Reed grew up on a farm in Lebanon County, west of Reading, and was educated in the Mennonite tradition at Christopher Dock High School in Lansdale. But his career as an educator and a recruiter took him all over the world, including three years in Japan teaching English. He eventually landed in San Jose, Calif., where his boutique firm recruits engineers for Silicon Valley. He is back on familiar turf, however, to discuss not teaching or tech but his newest book. “I have always loved writing,” he recalls. “I used to write books as a kid and read books as a kid. But I never read any books that were sort of about how I saw life, how I experienced it: the life of a farm kid in the Mennonite community. He published his first book in 1975. A second followed in 2009. 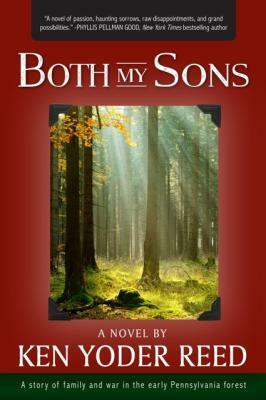 His 2016 release, Both My Sons, is the subject of the Mennonite Heritage Center appearance. “I started researching Both My Sons back in 2010. It took me six years to research it and write it,” Reed says. Reed relied on boots-on-the-ground research in Lancaster, checking out sites that included locations tied to the French and Indian War. 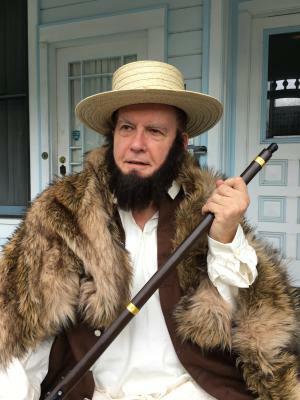 He also conducted extensive interviews and made extensive use of an inter-library loan system that delivered historic tomes from libraries across North America to his doorstep. “The biggest challenge,” he describes, “was picturing what was going on in 1755 when I live in 2016. Because there’s a lot of change that has occurred over those 250 years. So I had to think about the clothes; I had to think about the transportation. To get the vernacular correct, Reed accessed a book on 18th century slang, which helped ensure that his characters’ words were “chronologically correct.” He also engaged a dedicated crew of reviewers for the in-progress manuscript. But despite the logistical challenges, this historic fiction author is comfortable with his chosen literary style. “It affords me the opportunity to create characters – which is what I like doing – and storyline. And because it’s history, it finds an automatic audience. “But one of the problems publishing historic fiction is, How do you write a story about a period where there is almost no historical documentation? “Let’s take 1755,” Reed explains. “Immigrants who came here did not keep journals, did not keep letters; they didn’t make paintings of their lives. So I had to use a lot of imagination. “And that’s a challenge because there can be two streams in historical fiction: One type where you take a known character and you create a fictitious life for that person. “An example of that would be the musical Hamilton, playing right now on Broadway. Reed used the latter construct in writing Both My Sons. He based his main character on a distant grandfather who came to Berks County in 1756 and moved the setting 50 years prior to 1710. The shift not only allowed Reed to sidestep historical critics who might find fault with his fictionalizations. It also gave him leverage within his own family. “It gave me the chance to silence my cousins who would all come up to me and say, ‘Uncle Stoltzfus would never do that!” he laughs. Reed’s 2 p.m. appearance at the Mennonite Heritage Center (565 Yoder Road, Harleysville) opens with a presentation on the writing process. It then moves onto a 15-minute reading with Reed in period costume and concludes with a Q&A and a book signing. The program is free.